Atlantic City, NJ: WBA Light Heavyweight World Champion Dmitry Bivol (13-0, 11 KOs) of St. Petersburg, Russia will make his third title defense against light heavyweight contender Isaac “Golden Boy” Chilemba (25-5-2, 10 KOs) of Blantyre, Malawi as the co-main event on the Sergey “Krusher” Kovalev vs. Eleider “Storm” Alvarez card at Hard Rock Hotel & Casino Atlantic City on Saturday, August 4. The event will be presented by Main Events and Krusher Promotions in association with Groupe Yvon Michel and World of Boxing. The doubleheader will be televised live on HBO World Championship Boxing®beginning at 10:00 p.m. ET/PT. Bivol, 27, made his professional debut in 2014 with six straight knockouts. In 2016, he defeated Felix Valera to secure the Interim WBA Light Heavyweight Title. After the retirement of Andre Ward in September of last year, the WBA elevated Dmitry to WBA Light Heavyweight World Champion. In November 2017, he made his first successful title defense against Trent Broadhurst in Monte Carlo with a first round knockout. In March at Madison Square Garden, Bivol handed Sullivan Barrera his second defeat and first career knock out loss with a thrilling 12th round stoppage. 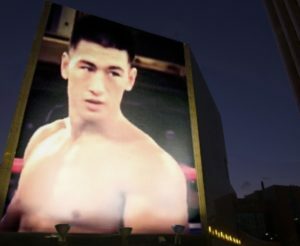 This will Bivol’s first fight in Atlantic City and mark his third appearance on HBO®. Chilemba, 31, who is from Malawi and fights out of Johannesburg, South Africa is no stranger to tough competition. After making his professional debut in 2005 at the age of 18, Chilemba quietly worked his way through the light heavyweight rankings. In 2013, he traveled to Liverpool, England to face Tony Bellew in Bellew’s backyard for the WBC Silver Light Heavyweight Title. The bout ended in a draw and less than two months later Chilemba returned to the UK to face Bellew again in a hard-fought loss. 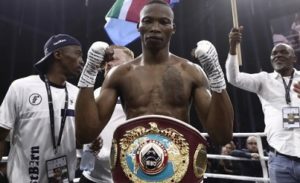 Then in 2015, Chilemba travelled to Quebec City, Canada to face Eleider “Storm” Alvarez to be the mandatory challenger for WBC Light Heavyweight World Champion Adonis “Superman” Stevenson. Alvarez defeated Chilemba in a close majority decision. In Chilemba’s next fight, he travelled to Ekaterinburg, Russia to challenge then unified light heavyweight titleholder Sergey “Krusher” Kovalev in Kovalev’s backyard. Chilemba stood toe-to-toe with the Krusher for 12 rounds, but lost via unanimous decision. After suffering an arm injury in his next fight against Oleksandr Gvozdyk that forced his trainer, Roy Jones, to stop the fight, Chilemba took nearly a year off to recover from the injury. 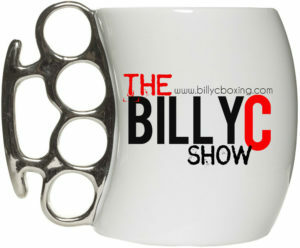 In his most-recent bout, he defeated former world title contender Blake Caparello in Caparello’s backyard.